Ooooh, this winter is deep, ya’ll. I’m in the throes of it, along with all my other fellow New Yorkers. As my mind turns hopefully to spring cleaning and renewal, I cannot help but wonder why Charlie and I didn’t schedule our St. Lucia Yoga Getaways for, ummm, now. Our mistake is your gain, though, because there’s still time to sign up and join us. A great use of your tax refund. Ha! Click here for lots more retreat info. 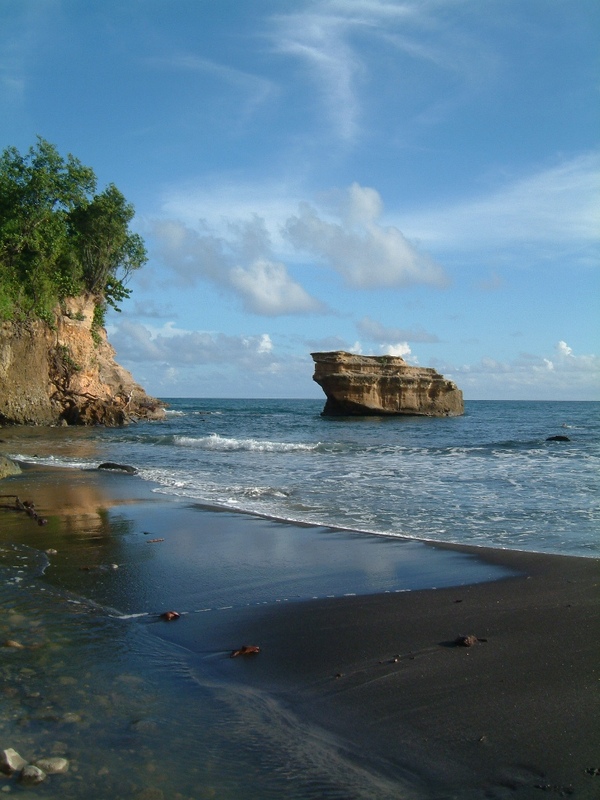 A lovely photo gallery of the island’s beauty, plus pics of private estate we’re hosting the retreat at is here. The secure sign-up page is here. Sending light to all. Stay warm out there, gang! Hello there, long time, no hang. I’m still around, and busy as always, prepping up for hosting a Yoga retreat St. Lucia, teaching classes, and wrapping up an ayurvedic detox/cleanse. 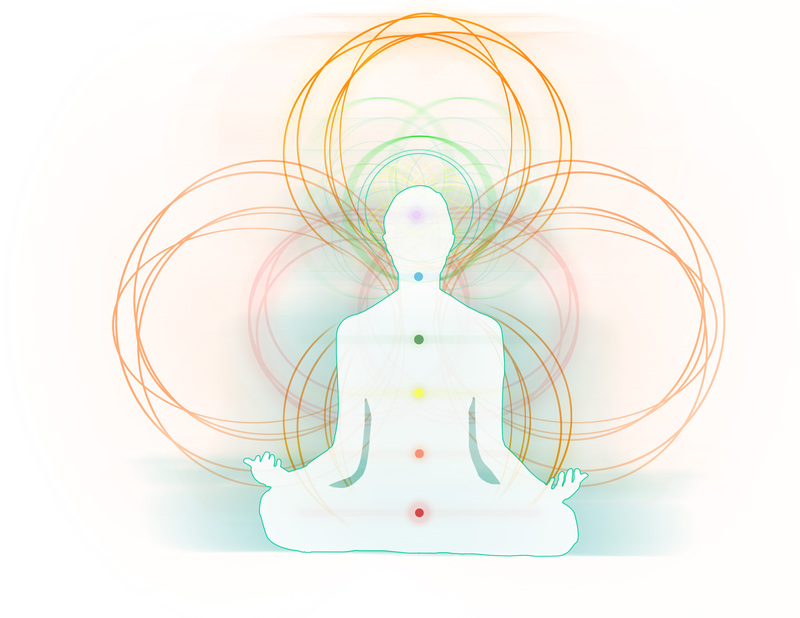 The cleanse has put me in the rejuvenation state of mind, body, and spirit, and inspired me to offer a very special Yoga workshop with this exact theme. Bonus: my retreat co-leader, Charlie, is co-teaching this weekend’s workshop with me. If you’re in NYC, you should totally join us! Join Bria and Charlie for a refreshing session of postures and breathing techniques that will cleanse, rejuvenate, and relax body and mind. Embrace a deeper connection of heart and soul, with aromatherapy delights to intensify your bliss. If you liked our recent Yoga for the Curious event, or weren’t able to make it, now’s your chance. You’ll love our latest Spring-y offering! A belated Happy 2013, everyone. Hope the new year is treating you wonderfully. I’m popping up quickly to alert my NYC Yoga students to some exciting schedule changes. If you practice with me in Harlem, you’re in luck. Starting this weekend two of my weekend classes are now 90 minutes. This is so exciting! So many of my Uptown yogis have been practicing with me for years now. Longer classes mean we can spend more time working on seated postures, challenge poses, meditation, breathing techniques, restorative postures, and enjoying a longer savasana. I’m open to requests, always, so if there’s something you want to explore, let me know. One more thing…I’m working now on finalizing my next retreat. Hint: Looks like it will involve beaches! Mondays, 12:15 PM at NYSC at Union Square (14th St near 5th Ave). Format: Vinyasa Yoga. Saturdays, 12:30-2 PM at NYSC at Union Square (14th St near 5th Ave). Format: Vinyasa Yoga. Sundays, 1:30-3 PM at NYSC at 115th and 5th Avenue. Format: Vinyasa Yoga. A neighborhood park in Paris (Montmartre). My New York students may have heard that I was away for a minute. I’m back now. Missed ya’ll! London and Paris were great. It was a total blessing to get to take such a trip, and I aim to post some related pics, recipes, and randomness about my trip eventually. 1. Keep things simple. A few basic poses daily, plus even a minute of meditation can make a huge difference. For example, while I was away, I did the Five Tibetan Rites almost daily. I also meditated briefly most days. Pajama Yoga, anyone? Here I am on my friend’s balcony in London, keeping my Yoga practice alive. 2. Do what you can to keep the connection to your practice, and yourself, alive. Part of Yoga is flexibility and nimbleness not only of the mind, but of the body. Ditch the “all or nothing mentality.” Instead of locking into a rigid idea of what your Yoga practice “should” be, why not fully focus on a few simple poses daily while away. You can get back to your favorite teachers and lengthier classes when you return. 3. Employ technology. Podcasts, Youtube vids, DVD’s if you’re feeling very 90s. More on some great options below. 4. Know that your practice might improve if you back off a bit. This totally happens to me. For example, my heels are closer to the ground now in downward facing dog than they were before I left. Yes, I was active on my trip, but in different ways, which allowed my body to heal and change in unexpected ways. Bise wants to know if those are the mountains out there in the distance somewhere. 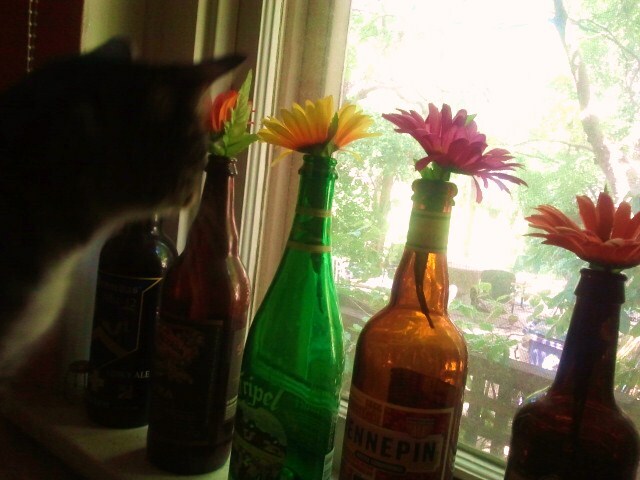 Why yes, they are there, kitteh! By the way, some of my students have asked me if I have any YouTube videos of my teaching. The answer is, “Not yet. But I am indeed working on that as a long-term project.” For reals. Baron Baptiste in bakasana (crow pose). If you’re looking for a podcast, Baron Baptiste Power Yoga is a solid bet. I haven’t personally studied with Baron, but have practiced via his videos. Reliably good stuff. YogaToday.com photo courtesy by Jesse Brown. Discover a new way to do yoga. Search, stream, and download from our library of over 200 one-hour video classes –in settings that harmonize with the postures and at the level and intensity that’s best for you. Much more than a convenient practice, Yoga Today is a growing community where you can immerse yourself in a lifestyle of health and wellbeing. 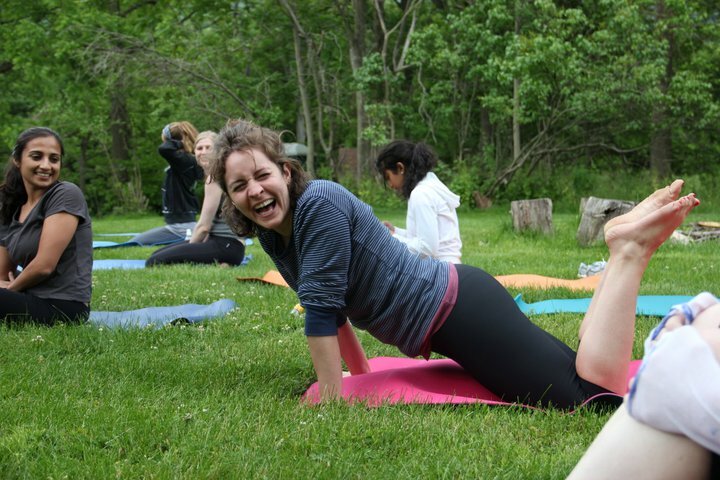 Yogaglo.com offers a cool variety of classes, including restorative Yoga, which I LOVE! Our goal is to offer online classes free of advertising. You get unlimited access to YogaGlo classes with an $18/month membership, the price you would normally pay for one class. 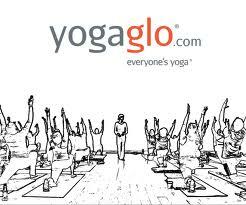 You can experience YogaGlo classes with full screen HD or normal quality video. You can sort archived classes according to teacher, style, level, duration and specific use. I hope this info inspires you to keep your Yoga practice going if you have one, and perhaps to check out some Yoga if you’re curious. It’ll be a beautiful addition to your holiday season and life. Promise! Let me know if you have any questions, ya hear? I love hosting Yoga retreats. Seeing my students finding bliss in their Yoga, relaxing, having insights, making new friends, plus enjoying beautifully prepared food, a roomy vacay house, and outdoorsy stuff…well, it’s just awesome. This year, my annual Upstate New York Fall Harvest Yoga4Soul Retreat is October 12-14 (Friday evening through early Sunday afternoon). Here’s a snap from my last retreat, in Vermont in May. We had such a blast at the last retreat. This time my Fall Harvest Retreat is in Upstate New York. Next up? 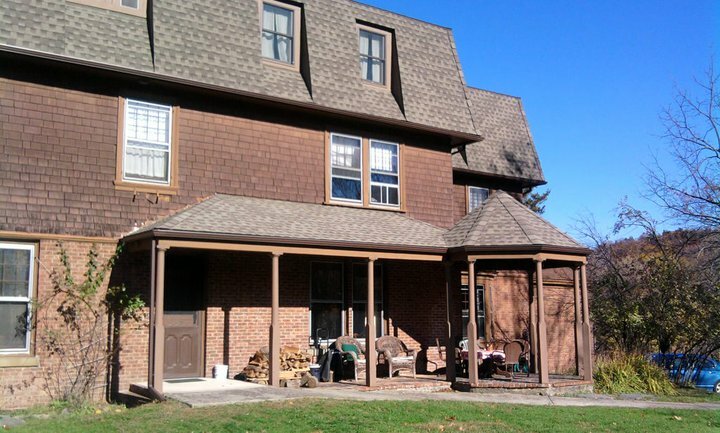 Our beloved Yoga home away-from-home in Upstate New York. Specifically the Grail house, in lovely Cornwall-on-Hudson, New York, about 90 easy minutes from NYC. So close, but yet, a world away from the city bustle. Perfect. The Grail House in Upstate NY, home of my annual Fall Harvest Yoga4Soul Retreat. I got back recently from Colorado, and I can tell the difference that taking some time out for self-care and reflection has made in my own life. Maybe this is why I so enjoy creating these retreat experiences for others…because I know how powerful and important taking time out and taking care of ourselves is. Maybe this is why many retreaters who go away with me once return again and again. Because, they, too, know the power of these getaways and immediately see the benefits in their own lives. 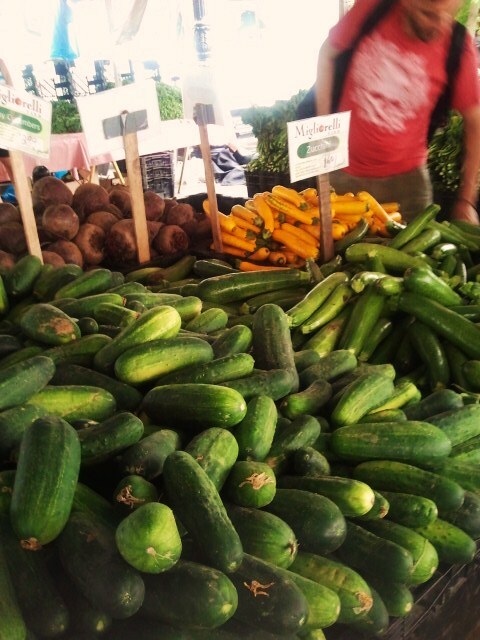 Fresh seasonal food will star in the retreat menu. Besides Yoga, we have a trip to an apple orchard and a winery on tap. Plus lots of great food prepared by Chef Dave, who is new to “cheffing” my retreats, but has been studying Yoga with me for years. Did I mention he has culinary training and an amazing Yoga practice? Niiiiceeee. Early bird rates are available for the retreat for a few more days. We’re talking rates starting at $300 for the entire weekend, which includes all classes, all meals, and outings. This is a ridiculously affordable rate, so bring some friends, your love, or some fam! Newer to Yoga? No problem, I’ve had absolute beginners at retreats numerous times, and, if needed, I’ll lead special Yoga sessions for those who are newer. Click here for more details on retreat rates and house pics. Ready to book? Use this link and scroll down for the PayPal button. If you have any questions, please drop me an email. Shanti, shanti, shanti, and I hope to see you Upstate. Hey there, everyone. I hope you’ve had a great week. Any big plans for the weekend? Planning my next Yoga weekend getaway has been taking up a lot of my time lately. This time we’re retreating to the Green Mountain State, a.k.a. Vermont, from May 4-6. I’m so excited! My friend Maria Nieves is catering my upcoming Vermont retreat. 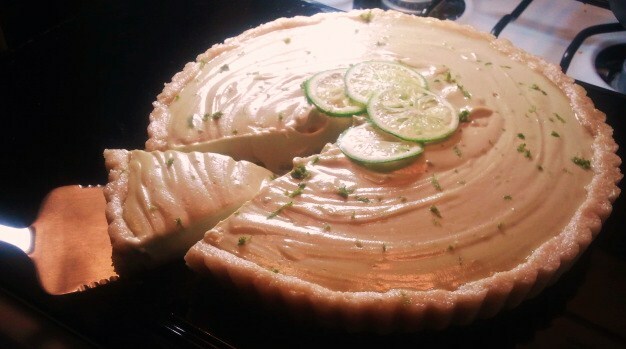 She made this raw vegan pie for us to taste test. 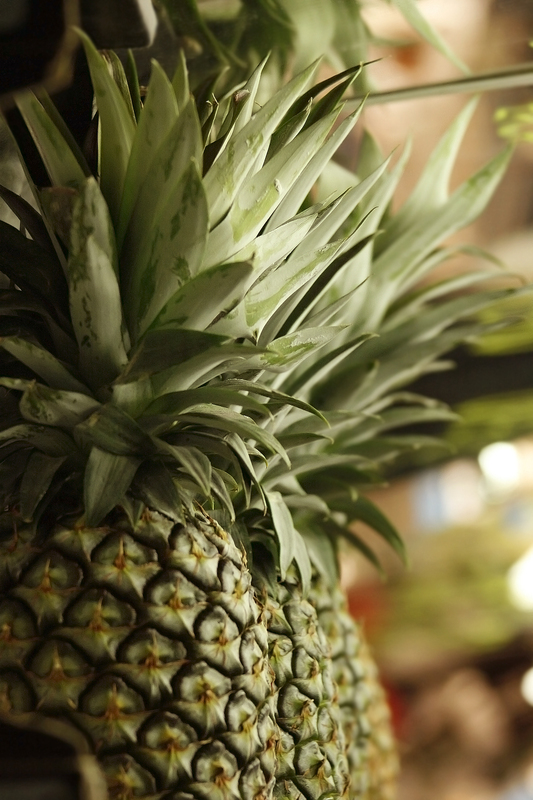 We're still debating between flavoring it with mango, lime, or both. I say both, with a big side of coconut sorbet to compliment the pie's creamy texture. 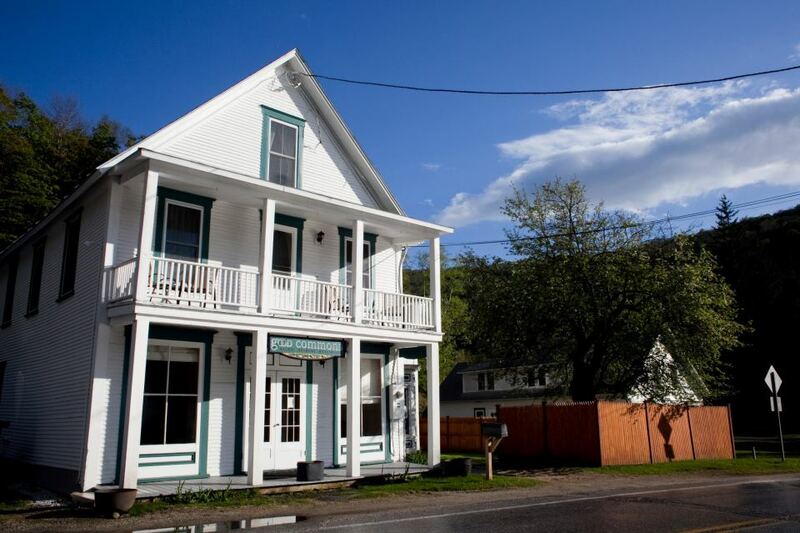 This weekend away is happening in Plymouth, Vermont, at an amazing venue, Good Commons. 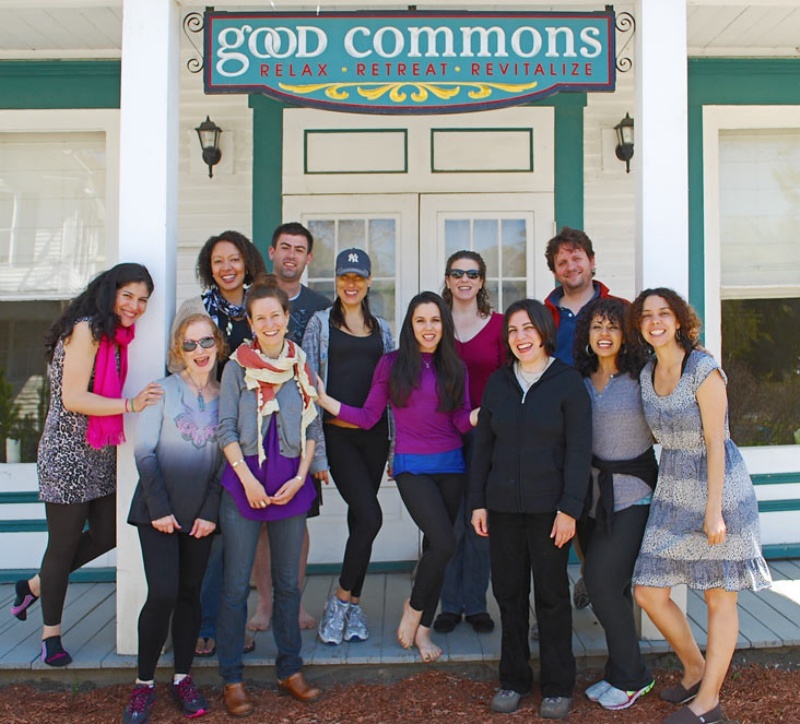 Good Commons, in Plymouth, Vermont, is hosting my next Yoga weekend getaway, May 4-6. For more info on the weekend, have a look here. 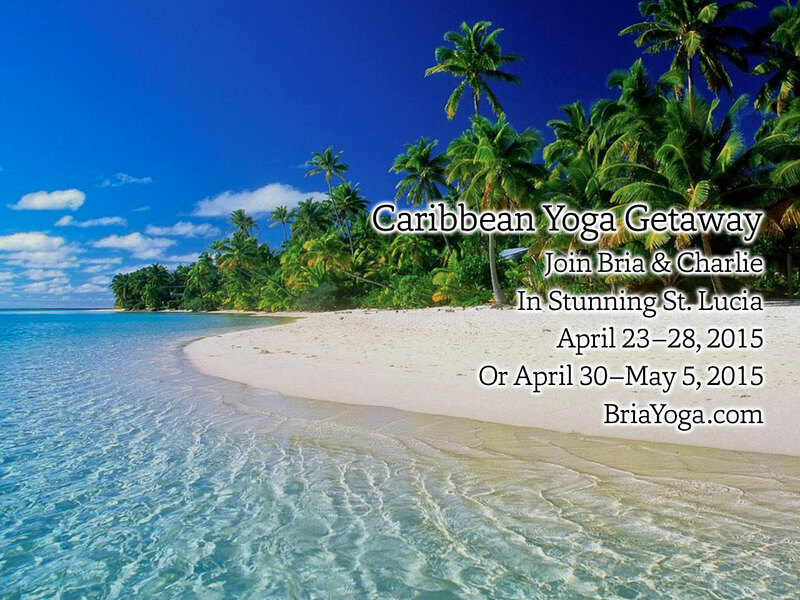 There will be Yoga classes daily, an outdoorsy outing, hot tub time, and farm-to-table cuisine prepared by my awesome chef, Maria Nieves. Also, my amiga Ilana will be leading a kirtan. Seriously can’t wait for all of this! In New York for the weekend? So is the Yoga Journal conference. Check it out. It’s really healthy to leave the day-to-day and take some time to refresh and re-set our lives. 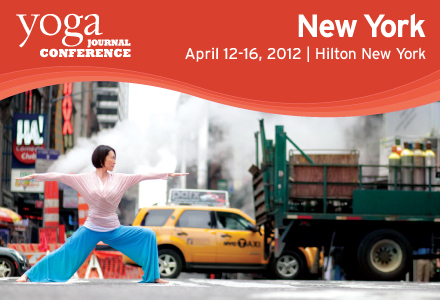 As for this weekend, New Yorkers might want to check out the Yoga Journal conference. There are lots of free events and a (free) exhibit hall. Click here for deets.